Just as you would before introducing a baby to its new home, it’s important to ensure you provide a safe environment for your beloved pet. Pets can be mighty curious animals who are eager to investigate a variety of intriguing smells and objects, and several of these could be possible hazards to their safety and their health. There are precautions to take in all rooms of the house, from cables in the bedroom, to keeping the toilet lid shut and toiletries in cabinets in the bathroom, to keeping potentially toxic plants in the kitchen out of reach, to many more in the lounge, garage, and garden. 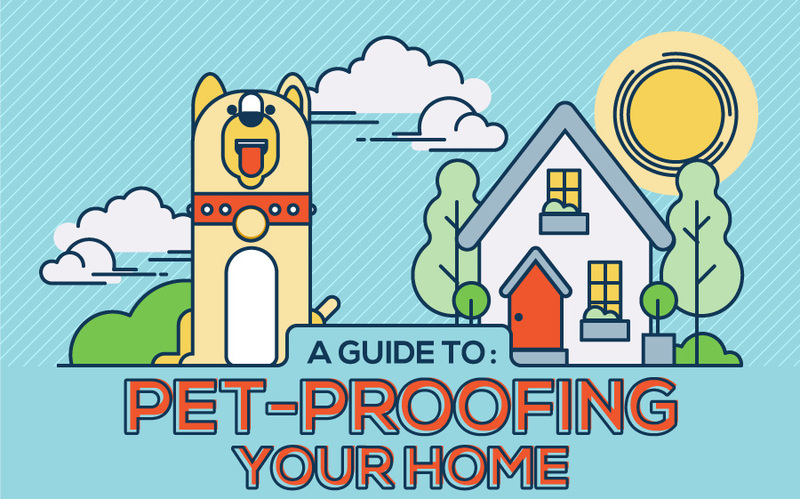 We have detailed a host of pet-proofing tips to keep your home a safe place for your pet, all found in our handy infographic below.